A series of images released by the Congress to launch the campaign slogan showed Rahul Gandhi interacting with various segments the party is trying to reaching out to. New Delhi: It took weeks of late night meetings and an extensive survey for the Congress finally to come up with its election slogan, which it hopes is a winning one. ‘Ab Hoga Nyay’ is what the party hopes to woo the voters with by pitting it against the BJP’s ‘Modi Hai To Mumkin Hai’. The Congress's 2004 poll tagline, ‘Congress Ka Haath Aam Aadmi Ke Saath’, portrayed it as a party that stood for social justice. Its latest slogan pretty much has the same message – Congress alone can ensure social justice. Former Prime Minister Indira Gandhi’s ‘Garibi Hatao’ slogan had also worked well by immediately placing the Congress as a pro-poor party that offered social equality. Indira’s abolition of Privy Purses helped the Congress further cultivate this image. But this perception took a big hit over the years, especially after the political debut of Rajiv Gandhi, who pushed for a computer savvy country and was pro-liberalisation. His viewpoints gave rise to the sentiment that the party favoured the rich. What also worked against the Congress was the mushrooming of new parties that were now echoing the ‘pro-poor’ sentiment. This explains the rise of the SP, BSP, RJP and later the TMC. These anti-Congress parties capitalised on the need for social justice, which they claimed only they could deliver and not an elitist Congress. The grand old party and its leaders were made to look like politicians who had lost connect with the masses. Ironically, the Congress soon developed an image which it today accuses the BJP of nurturing – a party with pro-corporate policies and measures. But in 2003, Sonia Gandhi began to see the writing on the wall and tried to make necessary changes by giving Congress its winning slogan, ‘Congress Ka Haath Aam Aadmi Ke Saath’. She hoped it would help the party again project itself as one that cared for the poor. The image did work for it in 2004 when the UPA was formed and Sonia Gandhi set up the National Advisory Council with the sole purpose of giving inputs to the Manmohan Singh government on what to do for the poor. The Food Security Act and a slew of other measures were essentially a push in that direction. But unfortunately, during the course of the UPA regime, the party once again started to build an image of siding with the rich, especially after multiple scams began to surface. While the farm loan waiver worked for it in 2009, by the end of 2013, the party began to look like a bunch of ministers and party men out to have a good time -- an image that the BJP and Narendra Modi used to their advantage. Remarks such as ‘chai wala’ by Mani Shankar Aiyar only helped Modi and the BJP strengthen its pro-poor image. The masses immediately identified with the ‘chai wala’ and the rest is history. During his five-year term, Modi has time and again referred to his humble background and taken potshots at the Gandhi family by calling them ‘naamdaar’. Rahul Gandhi gave an important brief to his team: Make the Congress look humble and the BJP pro-rich, and is this directive that led to the coining of ‘suit-boot ki sarkar’ salvo. With ‘Nyay’, an acronym given by Priyanka Gandhi, the Congress strives to go back to the times of Indira Gandhi. The imagery of ‘Nyay’ has been also been carefully chosen. The Congress president wanted it to look natural and so his interactions with the poor, youth and farmers were handpicked. 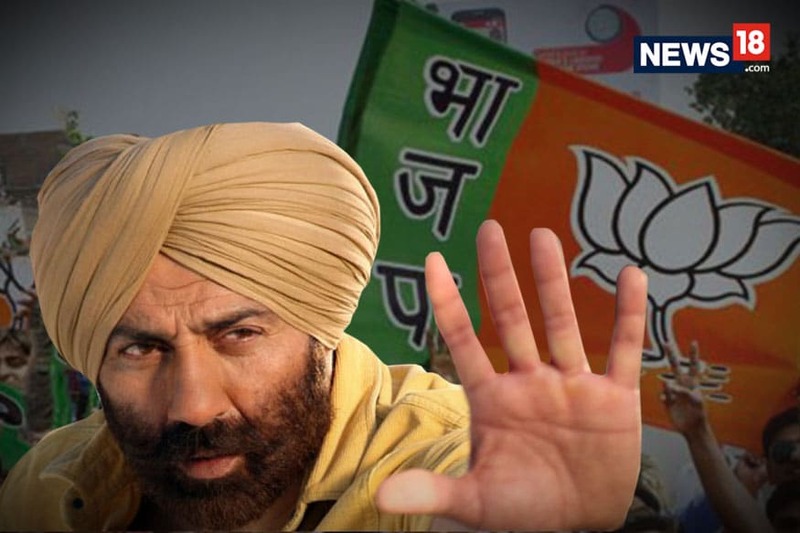 Its theme song, penned by Javed Akhtar and his team, attempts to build a discourse that this is a different Congress – one that is going back to its roots and one which is finally going to ensure social justice which the BJP could not give in the last five years. They say, your past always catches up with you. Prime Minister Modi is certainly going to keep on reminding the voters how the Congress was riddled with scams and allegations during its tenure and that there is a sense of entitlement within the party wherein only Gandhi family benefits from all the efforts put in by the party workers. Whether or not the Congress successfully fights this perception remains to be seen.